Sabaton is a Swedish power metal band that was formed in 1999. The band's main lyrical theme is that of war, mainly World War II. This can be seen on the album Primo Victoria and Attero Dominatus where all of the songs, minus the final tracks, take inspiration from a historical battle or war. 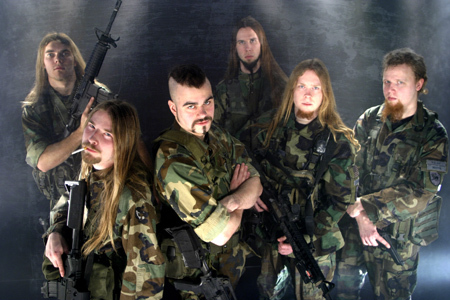 Sabaton formed in 1999. After the first songs were recorded in the Abyss studio, Sabaton was contacted by a couple of record labels. 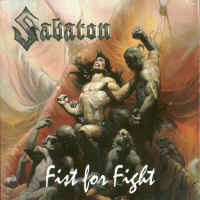 The band decided to sign up for an Italian label who released the promo-CD Fist for Fight - including a cover artwork by the legendary Ken Kelly (Manowar)- internationally with the intention to promote forthcoming releases. A year after the first recordings were made Sabaton returned with a debut album Metalizer, again working with Tommy Tägtgren. The band returned a third album titled Primo Victoria and found themselves in negotiations with several international record labels. They eventually signed with the metal division of Sound Pollution, called Black Lodge. Their fourth album is entitled Attero Dominatus, which continues the war theme of Primo Victoria with songs like i.e. "Back in Control" (Falklands War), "Attero Dominatus" (Russians conquering Berlin) or "Angel's Calling" (trench wars during World War I) and was released in Europe on the 28th of July 2006. Sabaton displays a different approach to power metal. Sabaton consider themselves "Heavy Metal" because of the obvious use of the term but Sabaton clearly meets all the characteristics of power metal. The most obvious difference is their frontman sings in baritone/bass range compared to the usual tenor range. Another feature in Sabaton's music is that they don't sound similar to any metal bands, not even their biggest influences (which are Judas Priest, Iron Maiden, Accept, and other N.W.O.B.H.M. bands). 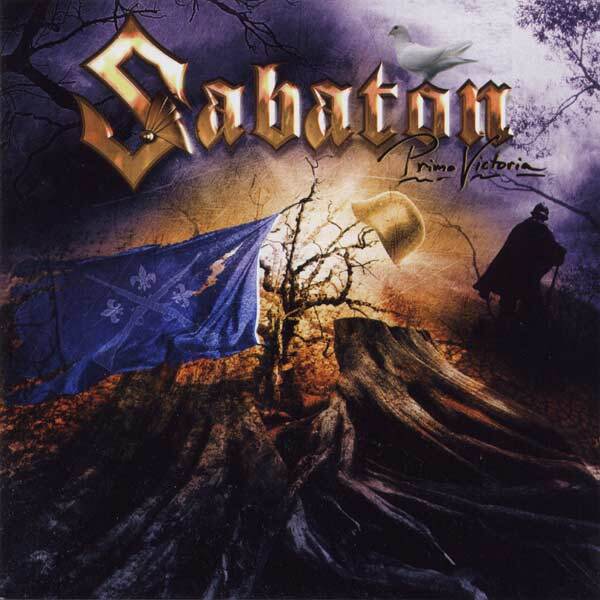 While normal power metal bands contain fantasy or mythological lyrics, Sabaton writes about wars and political figures of war and other war-related events. Though containing constant keyboarding, the guitaring is more straightforward, almost overpowering the keyboards on albums. This is used to give Sabaton more "edge" in their sound while the keyboard gives off an "epic" feel. With those exceptions, they still maintain key power metal trademarks, such as powerful guitar sound, double bass drums, guitar & keyboard solos, clean vocals, epic feel, and choral arrangements in each song.